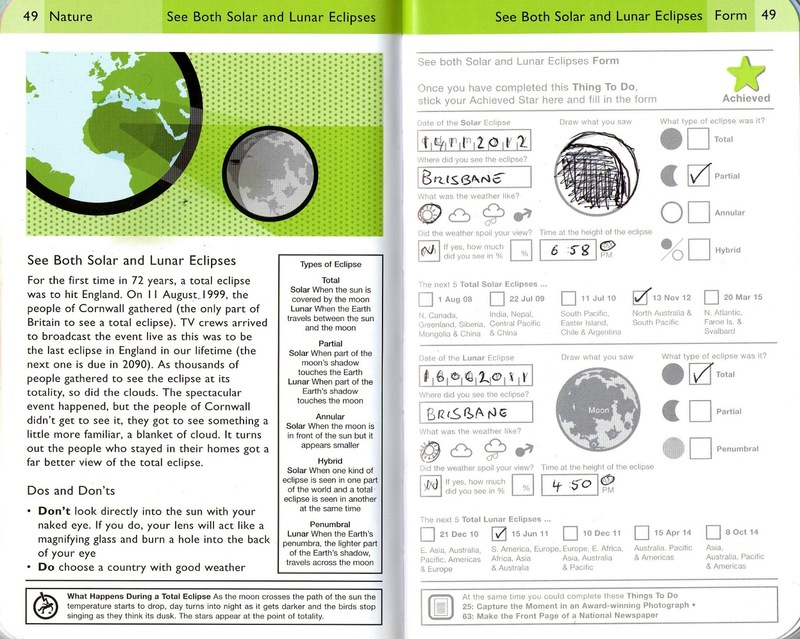 Total Lunar Eclipse and Partial Solar Eclipse. 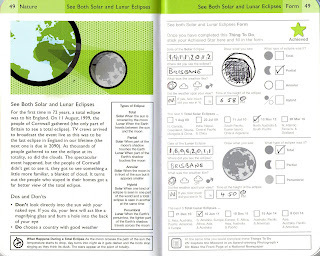 So as a bit of an astronomy nerd, this one was going to be completed with or without a bucket list. 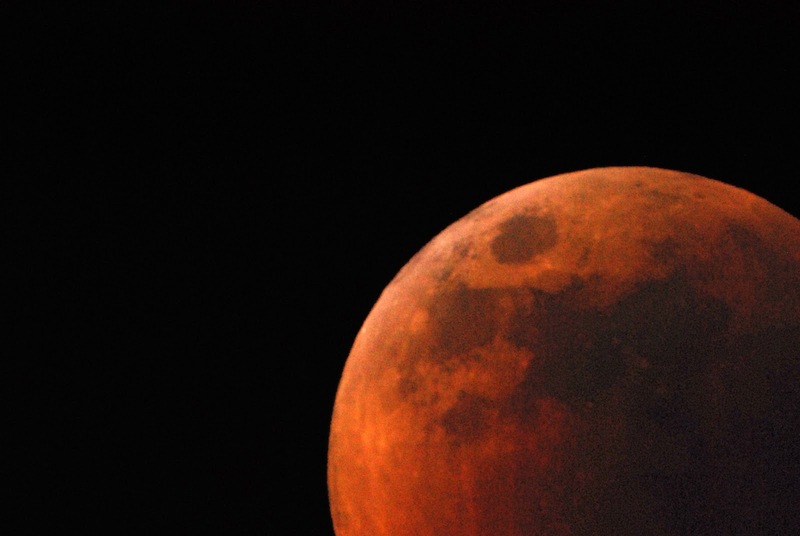 The total lunar eclipse took place in June of 2011 with the maximum being at around 4:50am and in the middle of June that meant it was quite cold (for Brisbane). 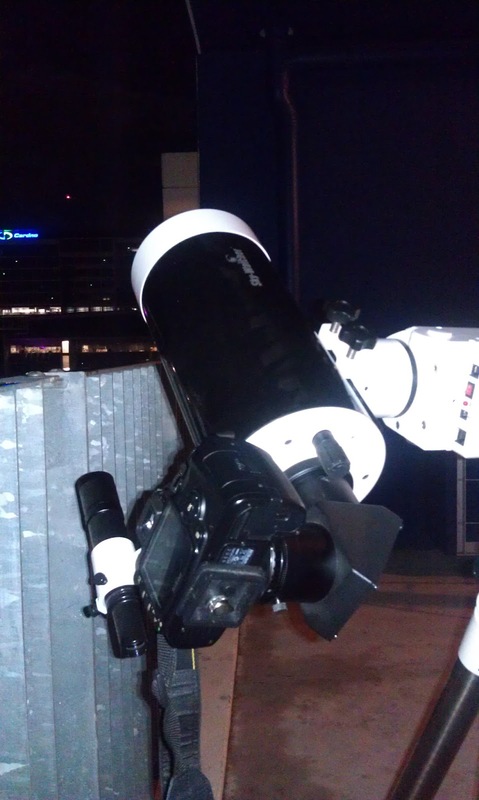 It also turned out to be a perfectly clear night for viewing, not a cloud in the sky. So I started setting up my gear at around 3:00am including telescope, mount, camera and accessories. 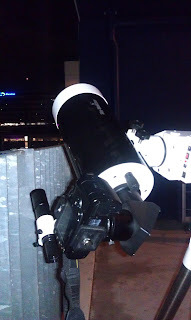 Oh I happen to be using a Skywatcher Black Diamond 130mm Mak Cass mounted on a Heq5 Pro tripod and a Nikon D40x. 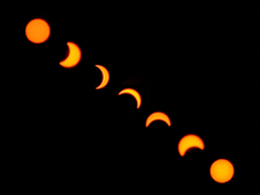 The solar eclipse was much more of an event on 14 November 2012 with the maximum being at 6:58am. 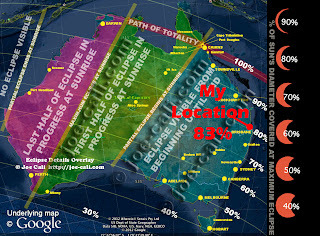 So lots of research to find out what time, where to be, what percentage we would get. 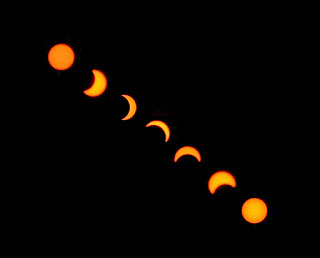 I woke up really early that morning, around 3:00am to get ready with all my camera gear and walk around to the roof level of the nearby car park for the uninterrupted views of the eclipse. 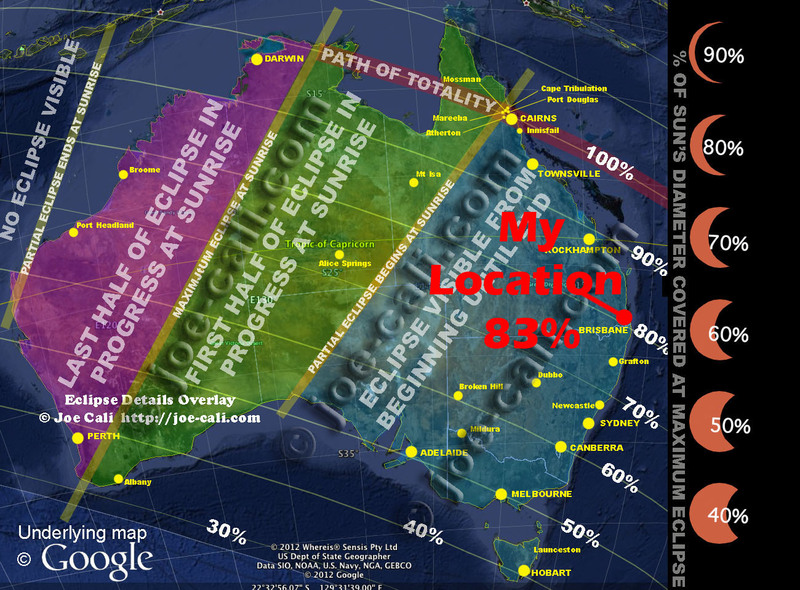 And while it was not total in Brisbane (83%), there was a noticeable changes in both temperature and light levels as it took place. It was a strange thing watching it through the solar glasses seeing a massive slice of the sun missing.